The Air-X is a 400 watt wind turbine capable of charging any size battery even in harsh or gusty environments. e Marine offers the turbine alone or packaged with some of our hottest selling options including our e10 wind turbine control panel and mounting kits. The AIR-X builds upon what made AIR the world's #1 selling small wind turbine with new technology previously found only in today's state-of-the-art mega-watt-class wind turbines. The microprocessor based speed control results in increased performance, improved battery charging capability and the reduction of “flutter” noise from the machine. The controller allows for peak-power tracking of the wind by optimizing the alternator's output on all points of the cubic curve and then efficiently delivers the energy to the battery. It actually controls blade rotation speed thus eliminating the buzzing noise commonly found with the AIR 403 and 303 in high winds. A new series of carbon-reinforced blades with a modified pitch angle further increases power production. 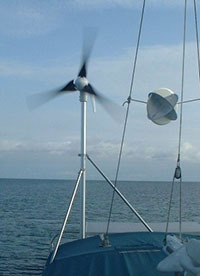 Much Lower Noise: AIR-X’s circuit monitors the wind speed and electronically slows the blades as it reaches its rated output preventing it from going into flutter. This results in a much quieter wind turbine. 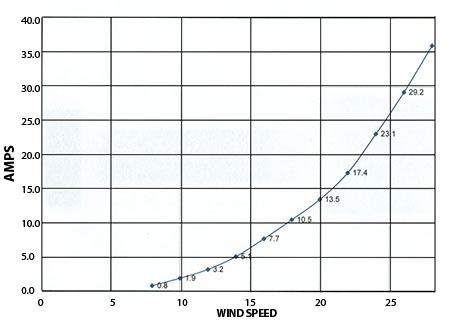 In high winds, the AIR-X will continue to produce power at a reduced level until the wind decreases, at which point maximum output will resume. Benefit: Quieter and neighbor friendly operation. Improved battery charging:The AIR-X’s charge controller periodically stops charging, reads the battery voltage, compares it to the voltage setting and if the battery is charged, it completely shuts off all current going to the battery. This function is performed within a few milliseconds. The closer the battery is to reaching its full state of charge, the more often the AIR-X’s circuit repeats this action. This means any size battery bank from 25 to 25,000 amp hours or higher can be charged safely. When the battery has reached its charged state, the AIR-X will slow to an almost complete stop. Only when the battery has dropped below its voltage set point will it startup and resume charging. Benefit: Extended battery life, no overcharging. Lower stress design: AIR-X limits power on the input side of the electronics by controlling the torque from the blades. The power no longer has to be dissipated by the electronics resulting in lower stress on the circuit, bearings and other materials. 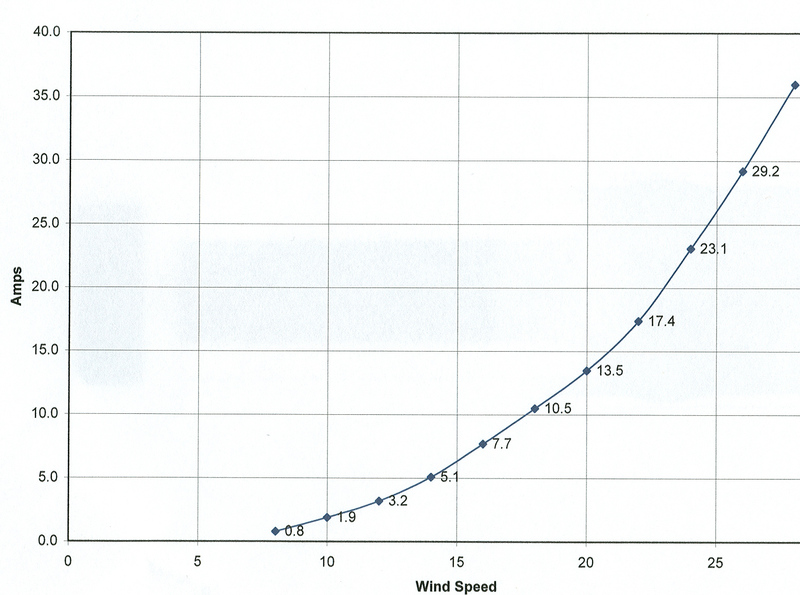 Furthermore, stress on wind turbines occurs primarily in high winds. Under these conditions, the electronic stall design reduces the speed to 600 rpm, thereby significantly reducing turbine and tower loading. Benefit: Greater confidence in high wind conditions without manually operating the stop switch. High Wind Safe Mode - Automatically slows turbine in potentially damaging winds. e Marine strives to minimize the pain of installation. Installation involves not just the wind generator but the need for a mast, wiring, fusing and other critical but necessary items which may not easily be found and backup on board spare parts. We offer a variety of kits and auxiliary components for one-stop shopping on your wind generator project. For more information on how the mast coating work, please click here. For more information on High Performance Blue Blades (HP-BB), please click here. Compete Kit allows for easy mounting and erection of the wind generator. Our kits are coated to reduce noise.